Rover. Number 2. Unmutual. The Tally Ho. If how these words connect is a puzzle to you then perhaps you’re not the target audience of this excellent documentary on 60’s mindfuck television masterwork, The Prisoner, but more pertinently the mighty drive and ambition of its star (and sometime, writer, director and producer) Patrick McGoohan. There are a couple of decent “making of” documentaries about the series which may give you more of an idea to the nuts n bolts of how it call came to be. 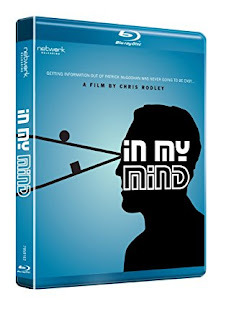 However this is more an insight into the inception of the series and a tiny glimpse into “what it means” via rare interview footage with McGoohan. In 1983, to coincide with Channel 4’s repeat showing of the series, Chris Rodley, was given the task of producing an introductory look at the show. As a devotee he went big and tried to get an interview with a man who believed the work should speak for itself and hated actors quacking on about their work. Via some suitably cagey and odd encounters he got the man to sit in front of a camera only for a day only for the subject to later track him down in the Mojave desert and offer to write a cheque to buy the interview footage so it would never been seen. Chris refused by McGoohan offered to sit down again and perhaps be a bit more forthcoming about his ideas as well as giving Lord Lou Grade a nudge to grant Chris an interview. The latter footage was used in the finished film ‘The Prisoner File’ but the original interview has never been seen….until now. It’s fascinating stuff as you see Patrick dropping back into the No.6 persona with little phrases and the way he regards the camera – he is vulnerable and unsure whether he is doing the right thing but ends up taking over the filming from its unexperienced crew and director. There is some great cine film footage capturing the filming on location if Portmerion which is intercut with the scenes from the show as well as archive from the 1983 interview sessions with producer David Tomblin, art director Jack Shampan as well as contemporary insight from Patrick’s daughter, Catherine on her father’s state of mind during the 1983 interviews as well as towards The Prisoner. Rather than a dry, factual puffed up DVD extra this gives Patrick McGoohan and his achievement with the Prisoner the respect it deserves while still maintaining a mystery about both. There are spoilers a-plenty (including the BIG one) and McGoohan’s glee at the furore it caused is evident 17 years later. He said he was glad that the show made people think, that it produced a reaction in them either positive or negative which is more than most television aims or achieves to do. When shown the finished ‘The Prisoner File’ in Paris, McGoohan hated it so much that according to Rodley ‘he spent the whole day yelling at us in cafes’. He’d probably hate this film too but fans of the man will find it fascinating. It's too familiar, worn out, over exposed and too intelligible lyrically - cry the naysayers. It's not the album's fault that it haunts you, its hooks rip into your flesh and melodies linger for a quarter of a century - I spit back. But the darkness - I sigh. In 1992 the world was groping (well quite a lot of that was going on if the news is any judge atm) into a new decade trying to work out what the new world order was. Eastern Europe was transformed it seemed in an effortless almost bloodless revolution. Christmas Day 1989 TV Special in Romania was the head of state and his wife being gunned down after a hastily organised trial which makes Mrs Brown's Boys almost a more appealing option. The Madchester scene had imploded in ecstasy with The Stone Roses 2 years into a 5 year exile in a studio somewhere outside Stockport. The Americans were on the rise with baggy jumpers, checked shirts and guitars and all we had to counter it was Jimmy Nail & Tasmin Archer. A year before the release of AFTP the music world had lost one of its most entertaining if divisive stars in Queen's Freddie Mercury. The spectre of AIDS had really hit home at the heart of UK popular culture as tabloids fought over who could get that last grainy shot of a man literally wasting away. I recall as a (hopeful) sexually active teenager that AIDS was a really scary risk that was enough to put you off any funny business - well, no but no other generation before had such a curb on their rutting behaviour. Of course the eternal idiot Nicky Wire of the Manic Street Preachers would suggest that it would be a good thing 'if Michael Stipe were to go the same way as Freddie Mercury' not foreseeing a time when he would have to be in the same room as Mr Stipe and have a huge plate of humble pie next to his awards chicken dinner. Michael was never the chubbiest of chaps and once his head was shaved as baldness arrived the pop papers started to use the phrases skeletal, skinny, bony to describe his appearance. Rumours circulated that Michael was sick and, as satirist Chris Morris once put it 'King Of AIDS chic'. Stipe later said he didn't comment on the rumours as it would give them credence, would stigmatise those with the disease and he didn't want to appear in front of his medical team with an 'I'm OK' certificate. Yet along comes this album full of meditations on death, suffering, redemption and loss - you can see why 2+2 was making 5. I better come clean with how AFTP seeped deep into my soul and remains one of the touchstones of my life. My first proper girlfriend had gone to stay with a friend in France in that nothing bit of the year between Boxing Day and New Years Day and I was doing some world class pining. I spent the whole week n a bit we ere apart listening to REM over and over while doing a 1000 piece jigsaw. Shunning any offers of pubs or company I wallowed in my own angst, imagining she was being romanced by a Galois smoking French ponce called Claude who would snog her when the clocks chimed le midnight an hour different to me, on my own, back home, trying to find the bit of sky that the dog had probably eaten. I had received other musical gifts for Christmas but Automatic's vibe fitted my mood like Linus' comfort blanket. I knew it was pathetic but it felt right. Never shy of wearing their politics clear for all to see 1992 saw the end of 12 years of Republican rule in the USA - the Reagan/Bush era as the Cold War got hotter until the USSR melted away with the US somehow claiming victory through stubbornness. 'These bastards stole all the power from the victims of the us v. them years / Wrecking all things virtuous and true'.is a pretty firm statement of intent which admits that its merely spleen venting but that's ok. I love the crunchy and yes, indistinct nature of the vocal fed through an amp. 'Ignoreland' is a much maligned nugget that perhaps doesn't fit in with the album as a whole but at the time of release made so much sense. 'Sweetness Follows' is bleak, isn't it? Starts with the death of a parent and driven with dramatic energy by that cello. 'Try Not To Breathe' as the last thoughts of a dying old man. A song about troubled Hollywood star Montgomery Cliff and a rather sweary chorused creepy love song intoned almost as a whisper. Others may find this morose, heavy going and dull but I submerge in the dark and find peace in the still moments and slow fades. You may notice that I've swerved all those oft heard omnipresent hits and singles - well they speak for themselves I feel. Most people don't understand what the hell 'Man In the Moon' is about. 'Drive' is a oddest choice of lead single, 'Sidewinder' catchy or annoying as hell, 'Everybody Hurts' - catharsis or overwrought dirge. 'Nightswimming' is pure nostalgia with that sublime couplet 'I'm pining for the moon and what if there were two / Side by side in orbit around the fairest sun?' and John Paul Jones' perfect string arrangements. Finally 'Find The River' (six bloody singles?!) an aching echo that demands a sunny day, a gentle breeze and a drifting boat with water lapping at your dangling fingers. The live part of this deluxe edition is a much bootlegged and mostly already released show from 40 Watt Club in Athens, a benefit for Greenpeace which would provide future B sides and serve as sole promotion for their album. I still have the KTS bootleg 'Automatically Live' and the official release here adds some in between song chat and better sound. In fact the first four songs are from AFTP before diving into Out Of Time and all the way back to 'Radio Free Europa' via covers of 'Funtime' & 'Love Is All Around'. Despite Stipe's protestations of lack of rehearsal the band are on fine form from the opening funky version of 'Drive'. Michael is quite chatty for someone whose usual song intro's are "Here's another song". 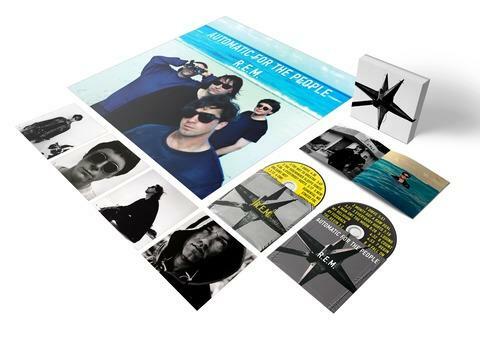 It's the highlight of the deluxe set even if you've had it on bootleg or spread across those 'Monster' B-sides. When the Out Of Time SDE was released the band claimed that the CD of demos and sessions caused them embarrassment and discomfort revealing things perhaps best left hidden. However that's what the fanbase demands, sometimes already own, secrets must be revealed. The demo of 'Drive' with a slightly croaky guide vocal doesn't have the menace of the finished song but the feel is there. Similarly 'Wake Her Up' aka Sidewinder is a run through for the band primarily with rough lyrics and la-la-ing. The biggest disappointment is that the laugh that I have found so charming and sweet is already in place. Maybe he found it funny every time. Also in this more stripped down version without strings that unintelligible chorus is perfectly understandable. No 'Calling Jamaica' anymore. The simply titled 'Mike's Pop Song' is a lovely jangly little, err pop song, that sounds more like something from 'Life's Rich Pageant' with sweet vocal from Millsy. You can see why they put those tracks up at the top as the rest of the CD is pretty much sketches and rough outlines of familiar tunes that you are unlikely to revisit. 'Photograph' is almost fully formed but clearly sounds like it belongs on 'Out Of Time'. Could have made the cut if they had finished it but to be honest I wouldn't swap anything off the album for it. The fact they gave it away to a charity album speaks volumes. The 'Everybody Hurts' demo is surprisingly effective shorn of orchestration, again lyrically sparse but the emotion is there in Stipe's early vocal. The disc shows off the band side of the album before overdubbing really well but it's debateable whether you really need it if they end up shoving it all up on Spotify. Its slightly frustrating that instead of adding a Dolby Atmos mix that they didn't collect up the B-sides from this era - the covers of 'First We Take Manhattan', 'It's A Free World Baby' and 'Star Me Kitten' with William Burroughs. However you cant fault them for presenting their zeitgeist grabber in the best possible way. I think if I met someone who didn't like at least something this album has to offer then I don't think they are worth knowing. Judgement call - made. The first Paddington film rather than trampling over a generation’s teatime TV memories was a terrific, warm, affectionate and funny celebration of Britain with anti Brexit & Daily Mail undertones. Was a little worried that the sequel wouldn’t recreate that warm fuzzy feeling inside this big kid. 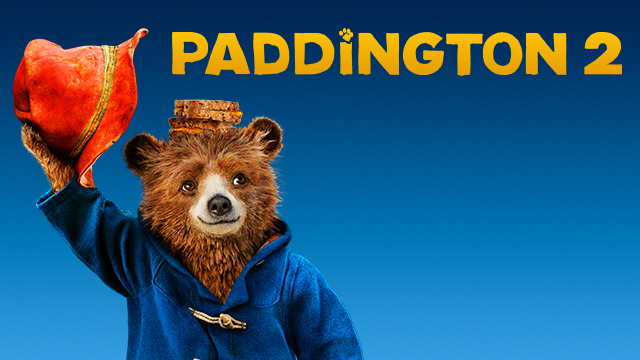 I can imagine Paddington giving me one of his hard stares for such lack of faith as I happily report that it’s captured the same kindness, fun and flair for bringing some of those illustrations of the 70s TV series to life. There are clever little visual tricks and steps that other family film would not consider – almost a cartoonists eye for storytelling. Ben Wishaw’s naive tones are perfect for the bear, the Browns suit the stereotypical image of British life as does the tourist view of London. Portobello Road hasn’t looked so clean and tidy since, well, Notting Hill. Talking of which, Hugh Grant hams up a storm, channelling Patrick Barlow’s deluded thesp Desmond from National Theatre of Brent as the villain of the piece. There are cameos from British comedy talent throughout as well as a great turn by Brendan Gleeson. Good albums can last a summer, great albums stay in the car for longer than most – brilliant albums last for a lifetime. Kathryn mused between songs last night that ‘Fell Down Fast’ written after the death of a friend has been in the world longer than he was. The album ‘Little Black Numbers from 2000 which always will be linked to the phrase ‘Mercury nominated’ was given a fine revival in a small packed North London chapel. You know those sound bites about ‘x song or x record saved my life’ – well LBN truly did on more than one occasion. It’s transcendent grace and stillness (Hello pseuds corner) have been a raft that I’ve sprawled exhausted on more times than I care to mention. Beaten by anxiety, loneliness and depression I’ve held onto Kathryn’s voice and the music for comfort, reassurance and hope. Although it’s not just linked to sad times – great joy of dancing about to the coda of ‘We Dug A Hole’ and what always sounds like dogs barking to me. The album is quiet, reflective but not unadventurous in terms of arrangements and melody. The band Kathryn had assembled to play many of these tunes for the first time in 15 years did not display any signs of the lack of rehearsal Kathryn hinted at but that’s cos she attracts supremely talented players. 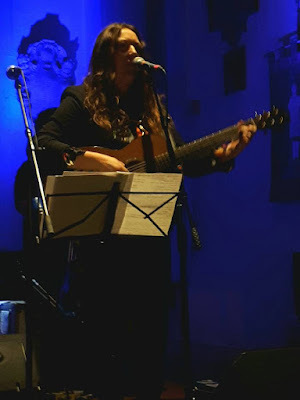 Her friend and partner in onstage giggling, Michele Stodart played a blinder as ever and Kathryn’s voice showed little effect of a bout of flu that caused a Lemsip binge pre show. Despite the lack of a break to “turn over the record” (which Robyn Hitchcock always used to do at his charity album shows) the songs were played in order ending with a gorgeous ‘We Came Down From The Trees. Kathryn performs Little Black Numbers – the song which didn’t appear on the album of the same name – as an encore, solo acapella using live looped vocals. Back in the early days she used to hold onto the sampler and clunkily (cos it was clunky) layer her voice. Now she effortlessly does so and puts so much care, emotion and drama into creating this incredible mosaic of sound. A closing ‘Bird On A Wire’ is a fitting ending as it perhaps reflects for Kathryn music that has stayed with her, bringing joy, solace and meaning to this damn stupid old world as the album she performed tonight meant to the audience. Its pretty fair to say that Chris Morris’ ‘Brasseye’ series arrival in January 1997 was like a bomb going off in my head. I was at university and awaited the series starting the year before for it only to be pulled from the schedules at the last moment. I watched the first episode alone and thought I would die from laughing. After showing it to my housemates it became a weekly event as the series aired – I have never seen a room of people laugh so much – people were crying, exploding and convulsing – helpless. I am guessing this is how Python hit the student population in the 60s except we often rewatched the show immediately as we had missed lines drowned out by laughter. In the final year of my degree I used Brasseye as the subject of my dissertation. Yes – that’s how I spent your tax dollars, mercifully without tuition fees. Oxide Ghosts is an hour of cream from series director Michael Cummings box of mouldy old VHS tapes featuring 70 hours of often timecoded, film and studio rushes. He has assembled a documentary that attempts to show a little of the one off man mental behind the curtain plus some of the material that didn’t make the legal or physical edit. The only thing I can compare it to for a comedy fan like me is watching Bob Dylan recording session of one of your favourite albums and getting the false starts, the goofy bits, lost verses and music plus him explaining how he wrote some of the song. 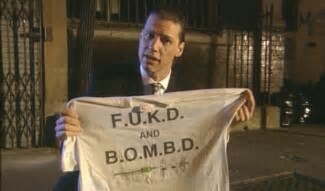 There was also a real thrill of seeing Chris Morris break character or just burst out laughing as he’s cultivated this image of being serious and remote, rarely does interviews or explains himself. Extended versions of broadcast scenes demonstrated his improvisational skills and his commitment to his art. The film was followed by a Q&A with Cummings where he expanded a bit more on how he put the film together, that Toyah was the only celebrity who refused to read out the nonsense they gave her to say, how they could never do the show today mostly thanks to the loopholes closed up as the result of their duping skills. He was clearly delighted that 20 years on the show is still remembered and celebrated but wonders if some news programme makers who aped its bombastic style knew that it was supposed to be a joke. The only way you will ever see this film is at screenings like the one I attended with 200 other fans. Chris saw and approved of the footage being seen but he and Cummings believe that in a world where everything is available at the click of a mouse that the film should be something you have to get off your backside and go see. Screenings are beings held all over the UK and Ireland for as long as there are people who want to see it.